So a new book has come out so it’s time to jump on board the hobby bandwagon! That’s right I’m talking about the Dwarfs. Now I’m building this army differently from normal, I normally design a list, buy the whole lot and then build and paint it ASAP to get gaming. This time I am just buying a bit of a time and painting what I want. This will come back to bite me as all I have done so far is characters so come the end I will just have a pile of rank and file models to paint! 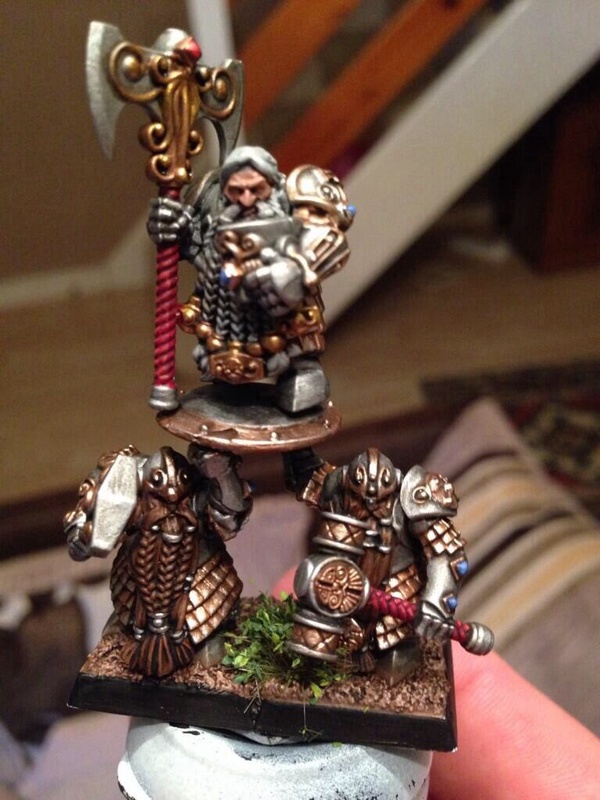 Next up we have the new runesmith model, I really like this model and will be getting another one soon. 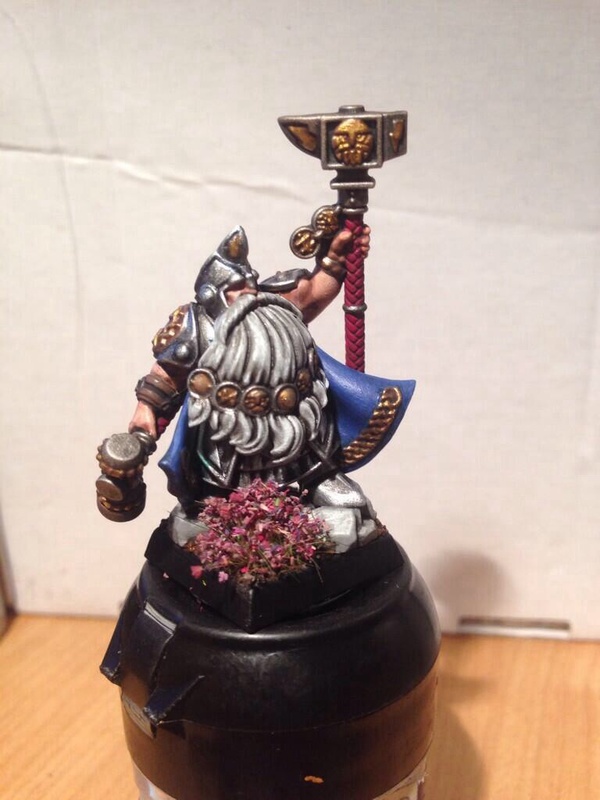 By now I had got the dwarf painting bug and quickly got a bsb done. 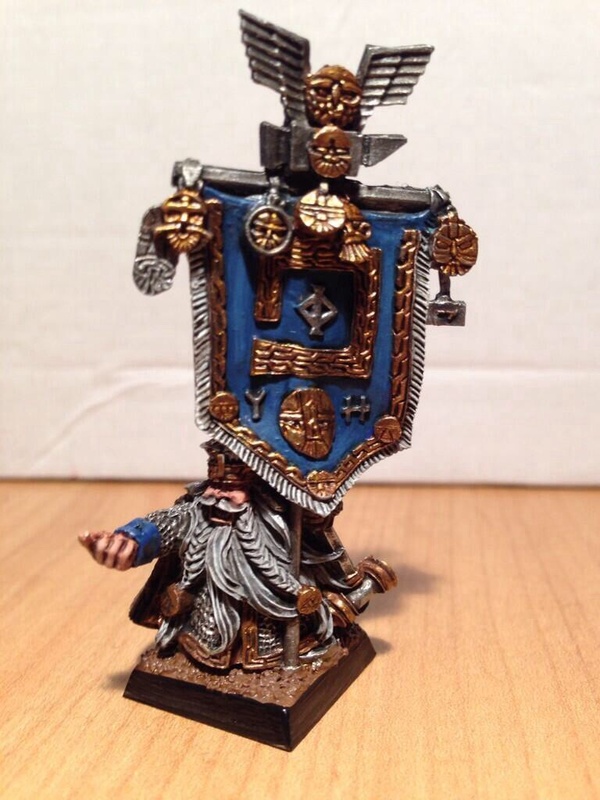 Am trying to get blue as the main colour for the army, I find that as long as you have one bold colour running through the army it will hold it all together. I then finally bought a box of rank and file, but instead of making them i converted my lord on shield bearers! Am pretty pleased with the way they have turned out. As you can see with this one trying to get the blue army colour on it was a lot more subtle as there is less fabric on these models, luckily the gems help to add that spot of colour. 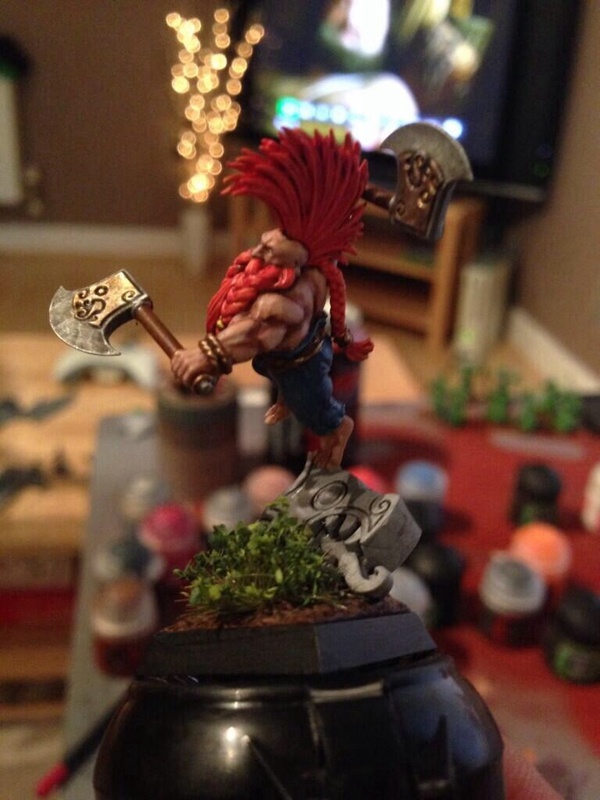 That is all for now, maybe next month I will actually paint a unit! This entry was posted in Army Blogs, Ben's Dwarfs, Dwarfs, Warhammer Fantasy and tagged dwarfs, fantasy, how to paint warhammer, warhammer, warhammer fantasy, warhammer painting, warhammer painting video, whfb. Bookmark the permalink.